Readers across the political spectrum will be fascinated by this widely celebrated and beautifully written book, as Ekirch traces how the ideals of individual liberty, free markets, and self-government have weathered the Revolutionary War, Civil War, two World Wars, Great Depression, and civil rights battles. The books far-reaching discussion of the growth of government and its negative effects on the economy, peace, and the rule of law is highly illuminating for modern readers who currently face unprecedented expansions of the size and reach of State power. Preface to the 1966 Edition by Arthur A. Ekirch, Jr. Preface to the First Edition by Arthur A. Ekirch, Jr.
Arthur Ekirchs The Decline of American Liberalism is gloomier about liberalism and more loyal to the original (i.e. libertarian) understanding of it. Rather than celebrate the rise of reform, he laments its contribution to the decline of individualism. 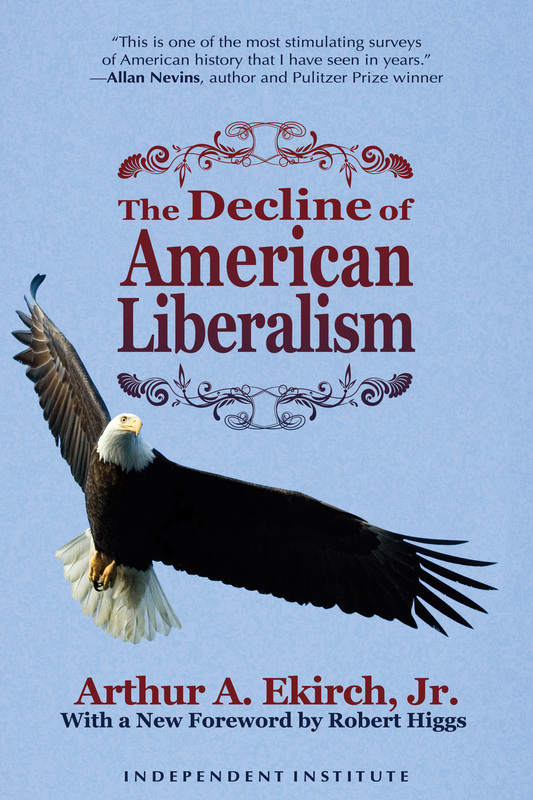 In this stimulating book Professor Ekirch undertakes to show that American liberalism has been in steady decline since the founding of our republic. This classical liberalism has as its central doctrines the concept of limited representative government and the widest possible freedom for the individualboth intellectually and economically. . . . In the space of a hundred and fifty years, liberalism has practically reversed its meaning and is now used to sanction a statism potentially more absolute than anything seen in the past. But that [Ekirch] has given the true history of a decline seems to me indubitable.